In a few days I’m moving from my current apartment into a much smaller space. I’m adopting the minimalist strategy of only owning a couple of suitcases of stuff, which I think will give me an even greater degree of freedom and mobility. It shouldn’t surprise you that I’m using buckets as a major part of my moving strategy. I’ve got a bucket for pants, a bucket for shirts, and some smaller buckets for socks, underwear and toiletries. Office supplies have their own bucket, as well as electronics and cords. 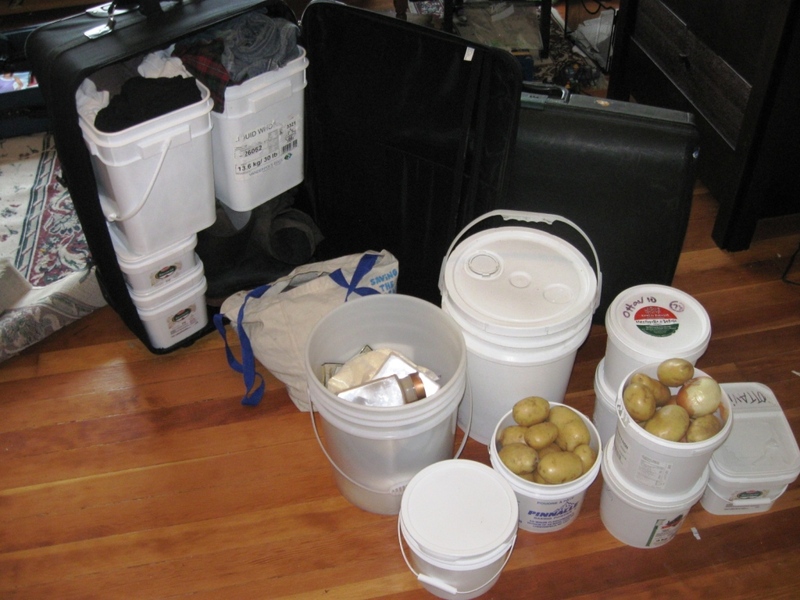 Each food item I’m taking with me gets a bucket appropriately sized to the quantity I usually buy – the largest bucket is for coarse wheat flour which I use to make bread almost every day.